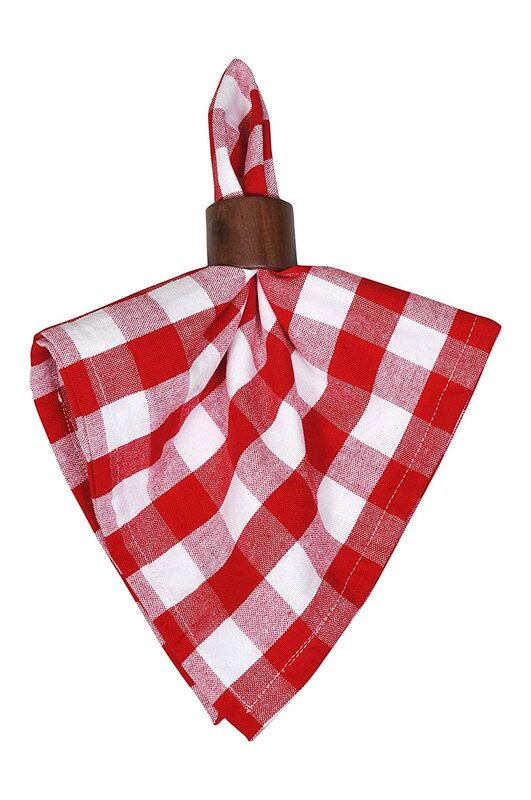 BUFFALO PLAID NAPKINS — Yourtablecloth cloth napkins are an elegant addition to your dining table or kitchen counter & the perfect size to handle messy meals! 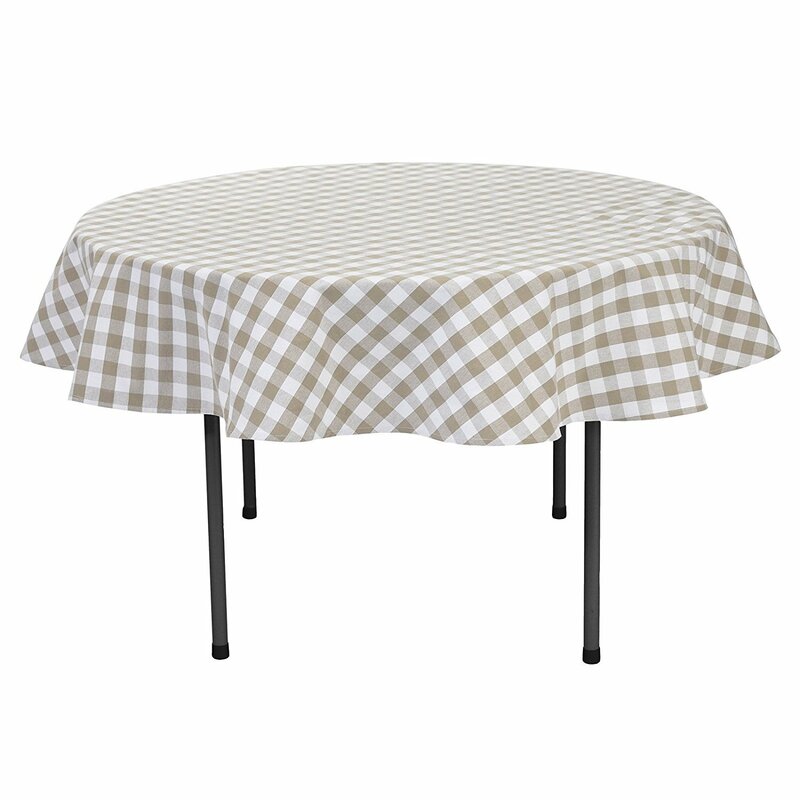 The beautiful & rustic buffalo plaid design adds a classy & timeless aesthetic to your otherwise plain & boring dinner table. 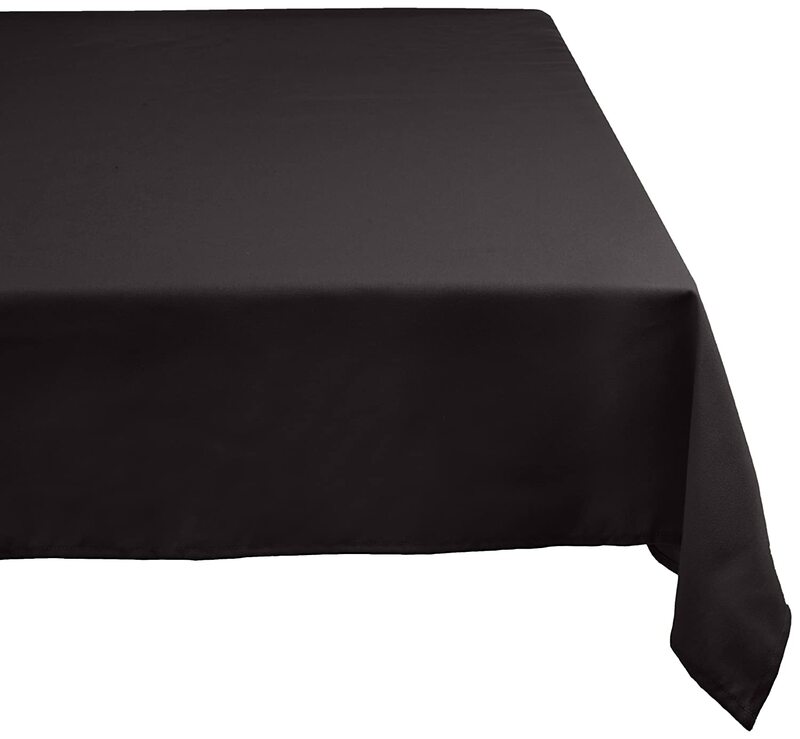 HIGH-QUALITY TABLE LINENS — Our dinner napkins are made from the 100% natural cotton, sewed & hemmed with extra-tough stitching, and boast colorfast pigments – preventing premature fraying, loosening of ends, and fading of the material, so that you can use these for years to come! 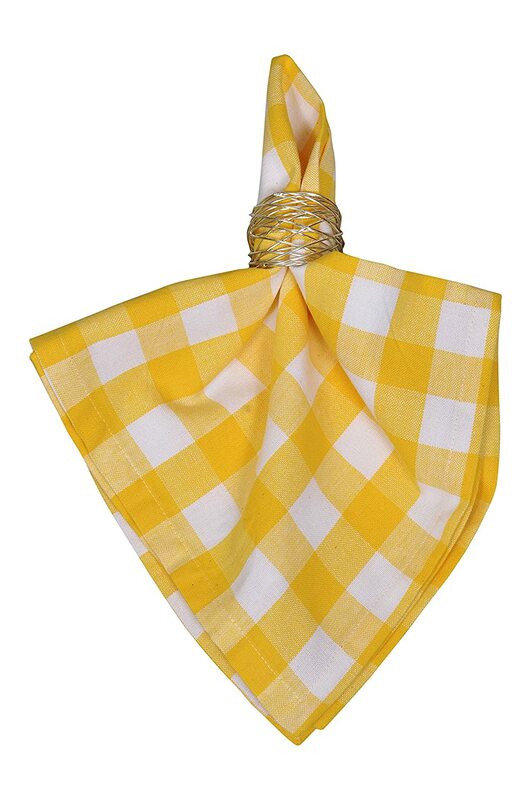 SOFT, SAFE & STYLISH — Made with natural fabric, our cotton napkins feel like a feather on your face & do not tug or irritate your sensitive skin, while their classic design adds a touch of style & panache to your home décor, and the eco-friendly composition makes them safe even for babies’ sensitive skin. 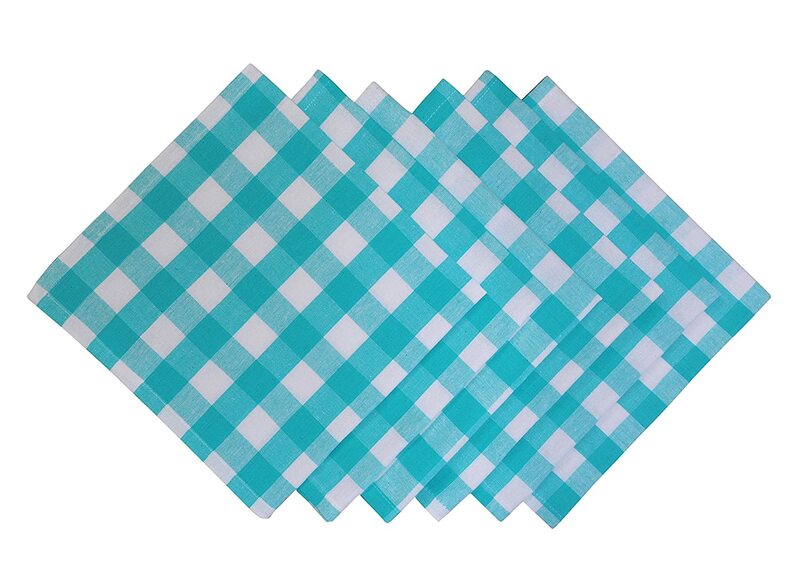 ENVIORNMENT FRIENDLY FABRIC NAPKINS — Paper napkins not only look cheap but also pollute the environment and are expensive in the long run, our sustainably made cloth table napkins are inexpensive, will last for many years, reduce trash, look smart & can be used for a range of occasions like Halloween, Christmas, Birthday Parties and Formal Events! 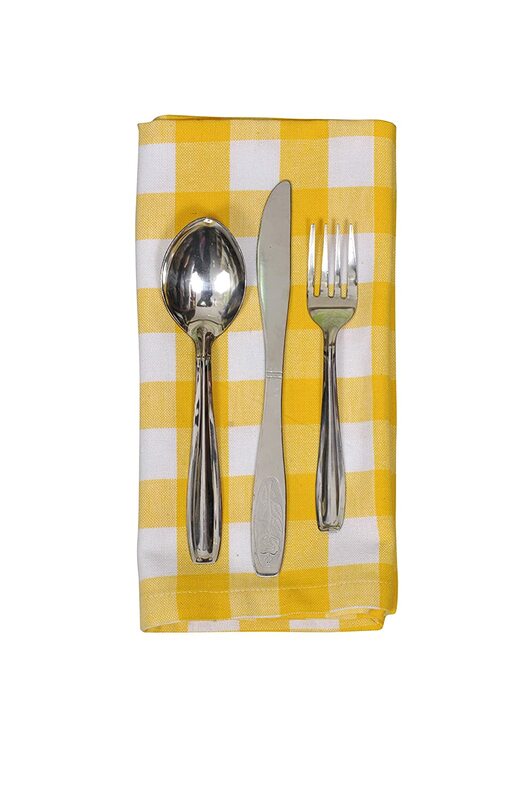 PROMISE OF QUALITY — Our cotton dinner napkins are made with strict quality standards and will not fail to satisfy you. However, should our product fail to please you, we promise a product replacement or full money back guarantee! All with no questions asked, so that you can buy with a peace of mind. 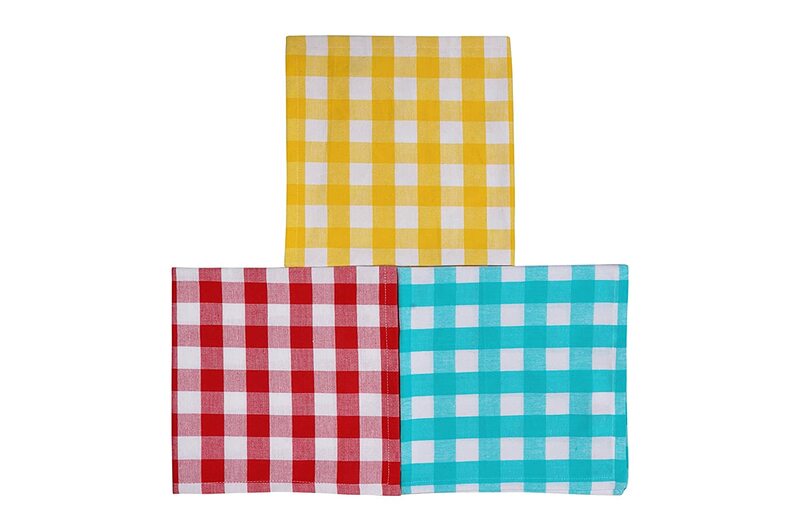 Amaze your guests with these vibrant cloth napkins; use them every day for fun, or just for a touch of glamor! 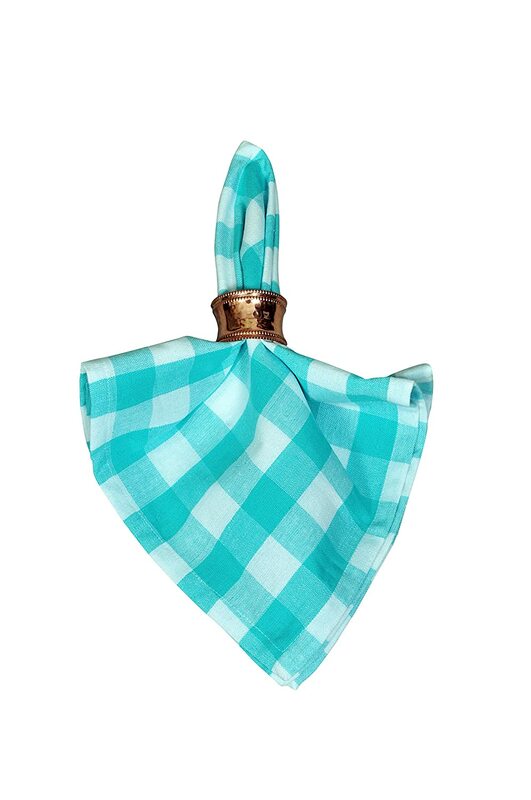 With Yourtablecloth’s set of buffalo plaid napkins, make your everyday dining table spread look like a picture from a magazine & be the queen of home décor! -The Buffalo plaid design is characterised by checks formed by the intersection of two colors & have been an integral part of culture & the fashion industry. 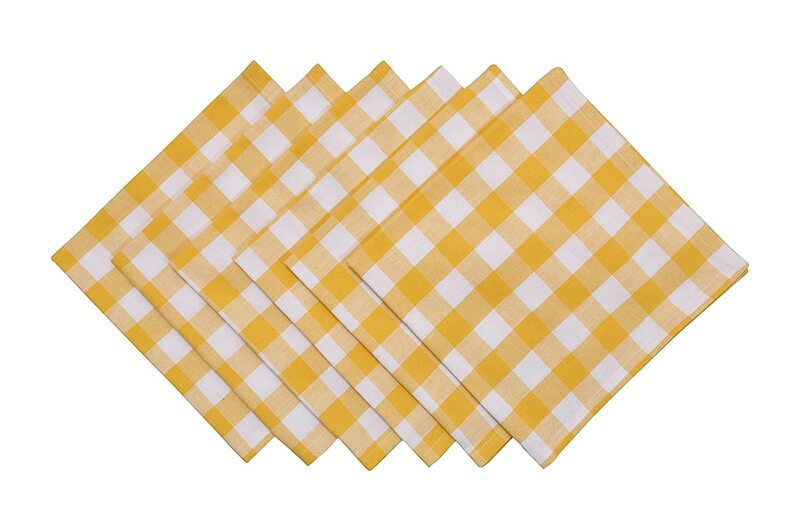 -This holiday season throw away those boring old paper napkins & replace them with our simple yet stylish cloth napkins. 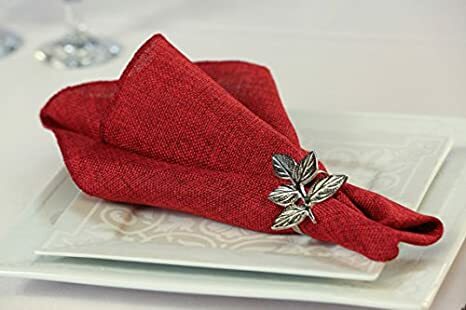 -High-quality vibrant colors don’t fade even after multiple washes, and the napkins get even softer with every wash.
-Simple rustic design allows it to be styled in various ways & for multiple occasions. 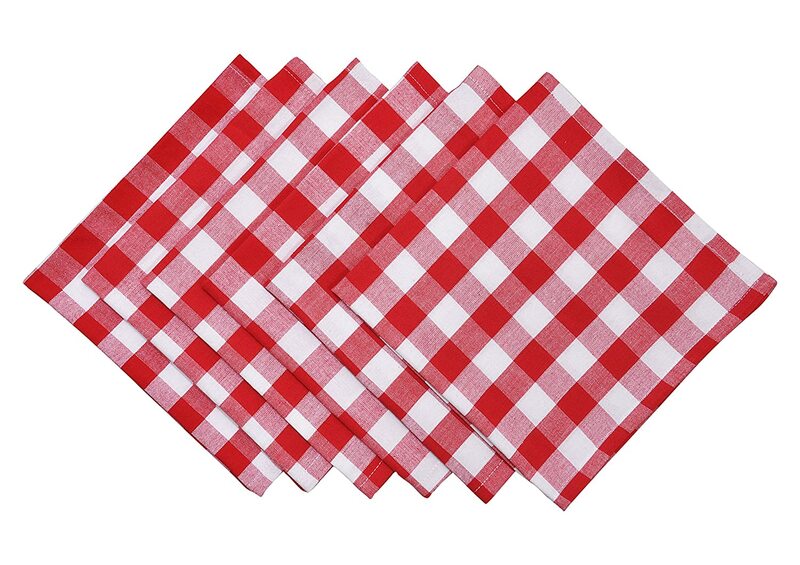 -Our napkins are ideal for both formal & informal events, and can be used at home, office or even restaurants! 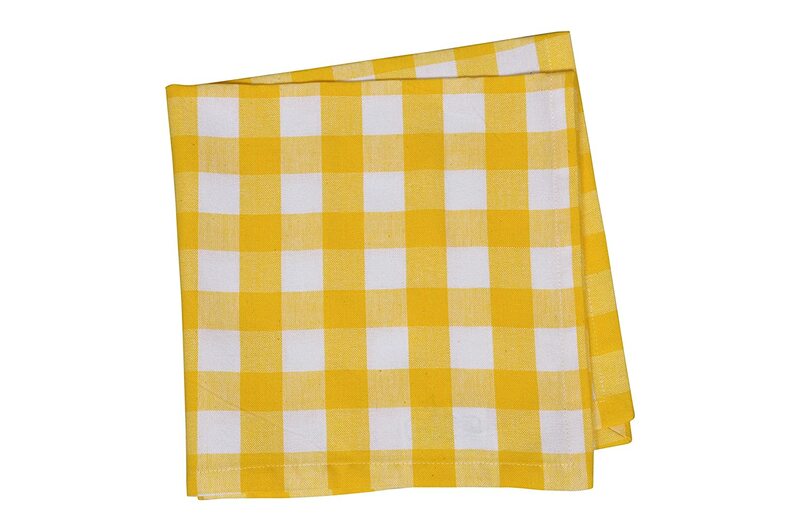 -Save your clothes from messy food stains with our super absorbent plaid napkins. 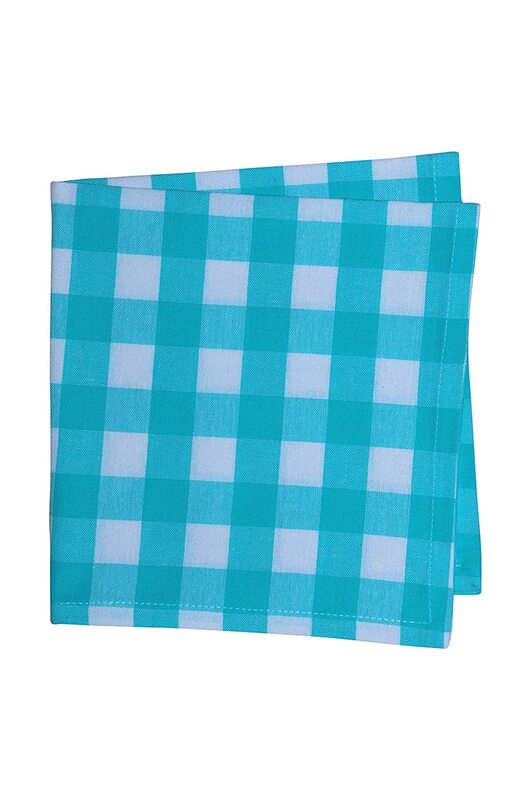 -Machine wash these cloth napkins separately in a cold cycle with a neutral soap and air dry them in a cool & dry place, away from direct sunlight — EASY TO MAINTAIN! 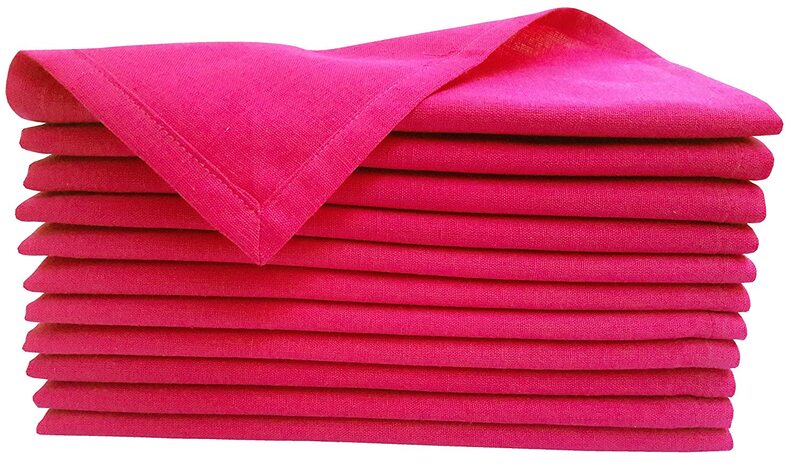 -These beautiful napkins make for an ideal gift for the home décor enthusiast in your life! 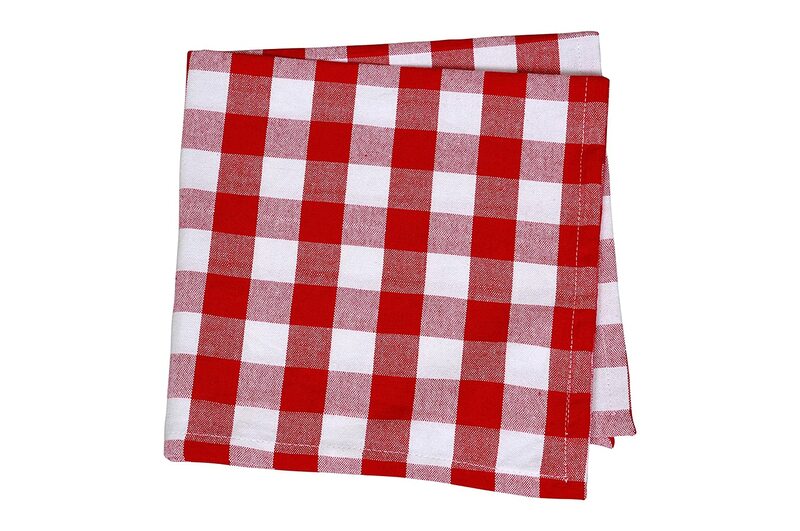 -Yourtablecloth cloth napkins can be used to adorn your dining table, coffee table or even as a face napkin while travelling — MANY WAYS TO USE! We ensure a no questions asked product replacement or money back policy in case you are dissatisfied with our product! SO, KEEP CALM AND ORDER NOW! Bright ,vibrant yellow color. 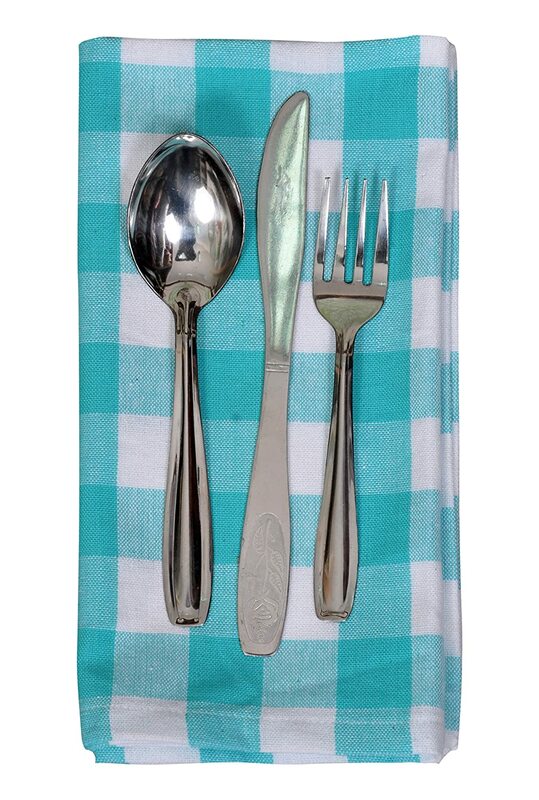 They were exactly what i was looking for to accent my summer table decor. Fabric seems to thick and of quality construction. One napkin did have a pull but it was worth it to me to send them all back. 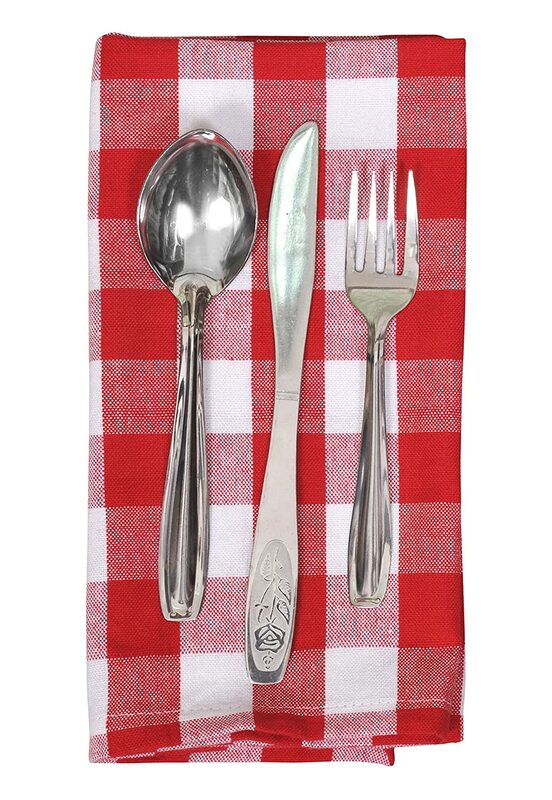 got to match w/ my dishes as napkins. Very cute and durable. These are very pretty. Not as soft as I had hoped, but not horrible. Haven't washed them yet so time will tell.